To make racing more even for full sized yachts in 1882 the first racing class was devised called the Tonnage rule. 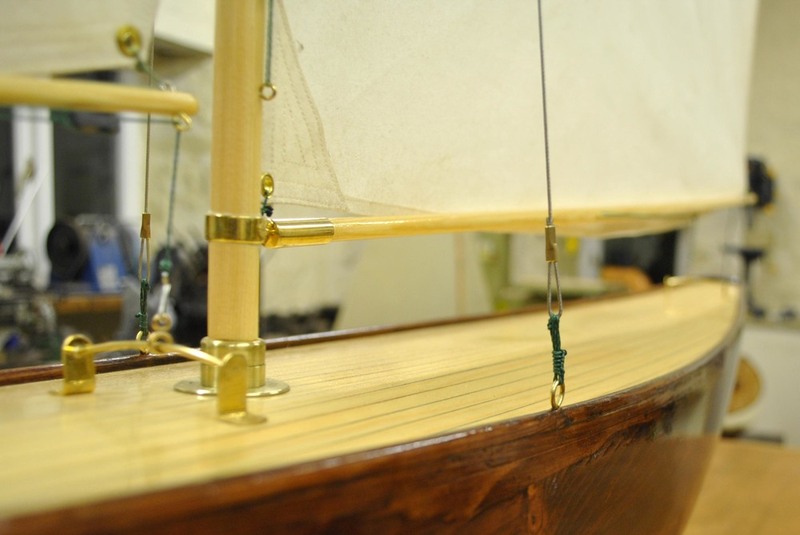 To give their sport some kudos model yachtsmen of the period chose to follow the same rule as the full sized yachts but on a scale of 1in to the foot. 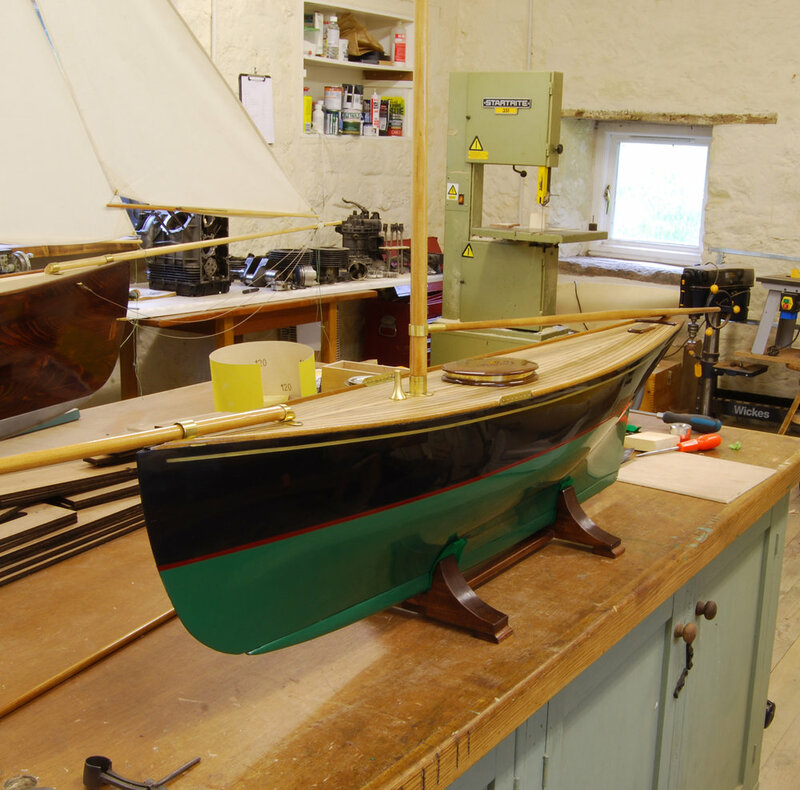 This 10 Tonner is built to the earliest plan we could find of a model yacht built to this rule which was publicized in the 1884 Model Yachtsman and Canoeist. 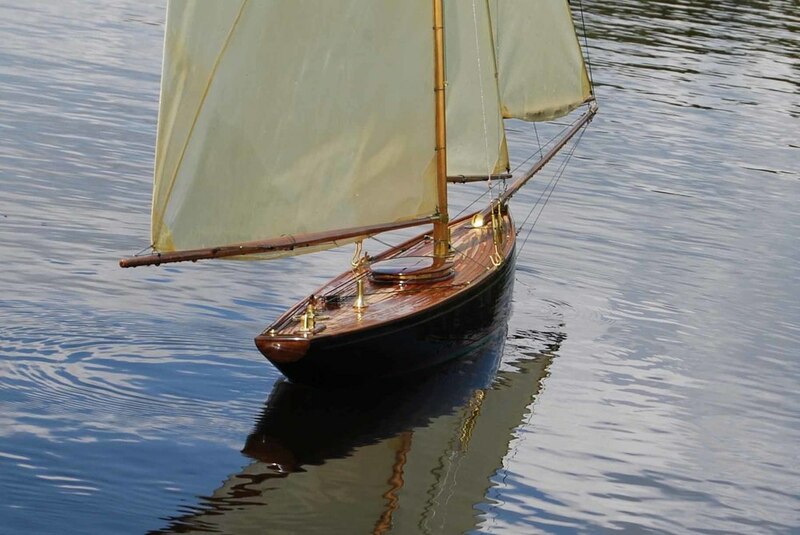 A step back in time, she is typical of models seen racing on the Round Pond and Serpentine in early Victorian London where model yacht racing began. We have two versions of the 10 Tonner. 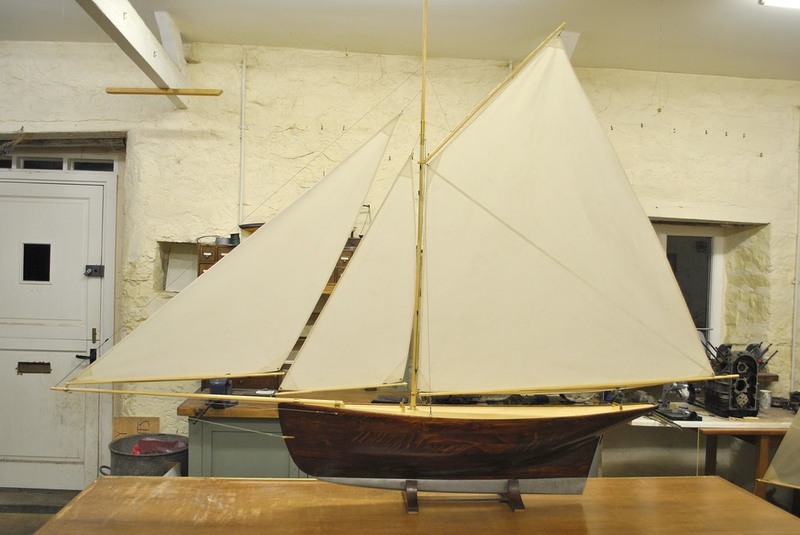 The Classic, built exactly as described in the 1884 periodical using the same build methods, materials and deck fittings. Note, she has no rudder as in those early days of model yacht racing they raced to windward only relying on sail trim alone. The second is the RC version, a modernized version for radio controlled fitted with a rudder and sail winch servos. 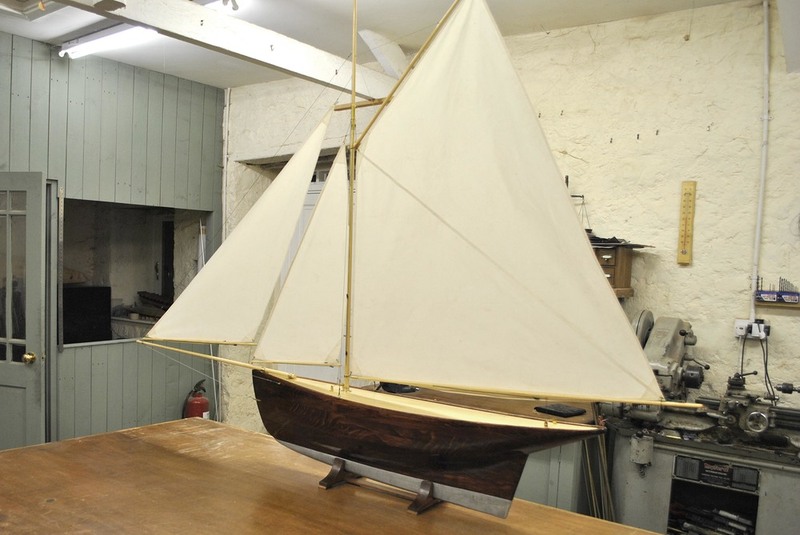 The sails are made from modern sail material Dacron as the original cotton sails proved too heavy when wet, affecting performance. 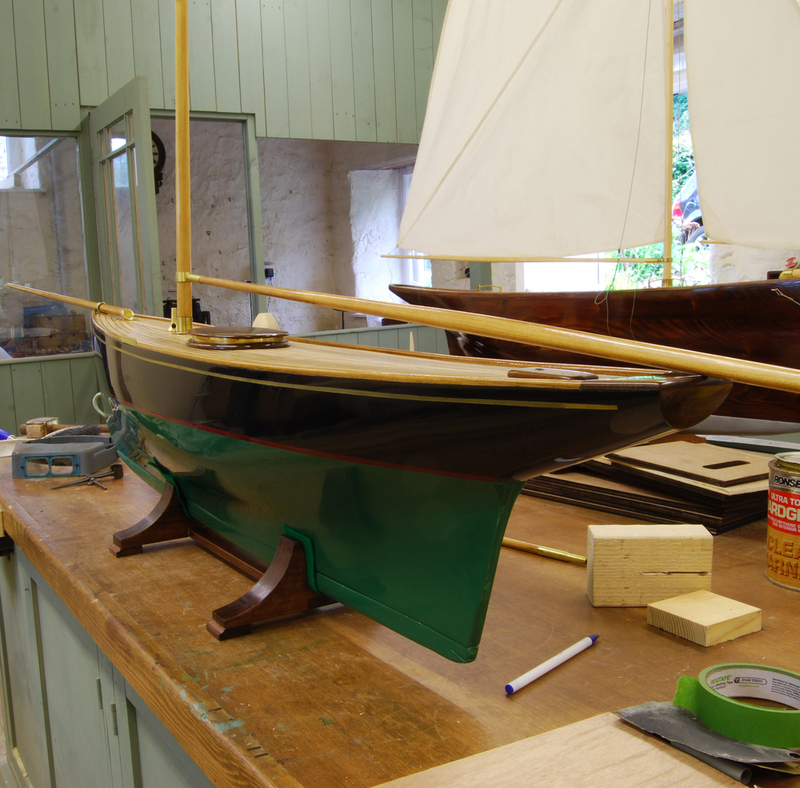 On both versions we only use modern materials such as paints, varnishes and epoxy glues etc. for longevity but only where we feel it does not affect the integrity of the original design. 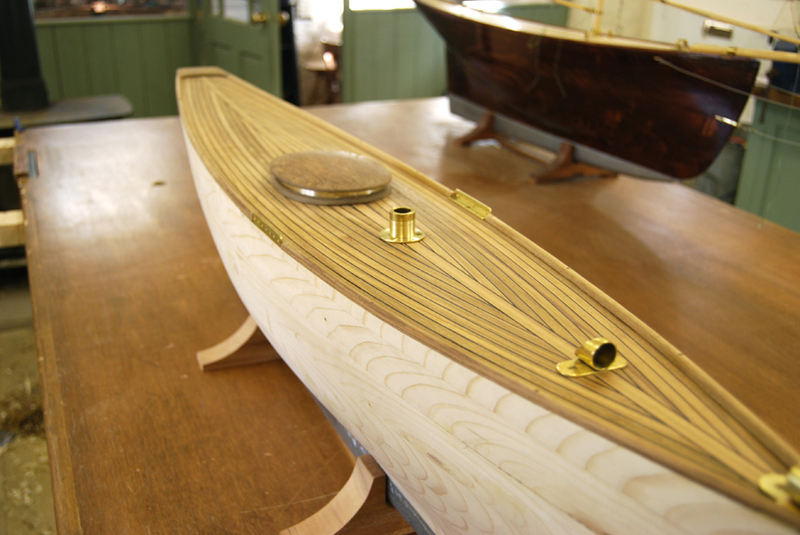 Options include paint combinations or varnish finishes and a choice of deck timber pine or teak. The RC version starts from 3,000 GBP depending on specification. The 10 Tonner is built to order so please feel free to contact us at our shop "The Pond" Corbridge on tel no 01434 632713 or E mail us at grovepondyachts@gmail.com for more details.